This piece was originally published by 100 Days in Appalachia. Growing up in southern West Virginia in the ‘60s and ‘70s, Jeff Mann first came to terms with his sexual identity in the pages of Patricia Nell Warren’s “The Front Runner.” His favorite teacher, who confided to him that she was a lesbian, lent him the love story about a running coach and his star athlete. His teenage revelation helped to name a lot of things he’d felt for years, but it also meant some new, hard truths for the West Virginia boy. If he were to be honest, Mann knew, he would likely be shunned from his little hometown of Hinton, or worse. Books and stories, however, offered a safe, inviting refuge, a place to learn and relate. But all of the LGBTQ literature Mann came across was set in big cities, like San Francisco, Los Angeles or New York. “I thought how can you be Appalachian and like the countryside and be gay?” Mann said. More than 40 years later, Mann has helped to publish a new book, released this month, that through poetry and prose tackles that very question — as a queer Appalachian, how do you juggle your heritage, family, and home in a region where religion and, often, conservative values are deeply rooted? 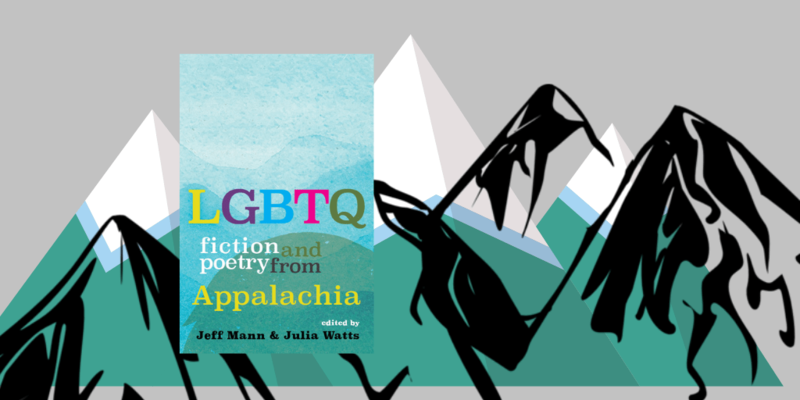 The collection “LGBTQ Fiction and Poetry from Appalachia” was released April 1 by West Virginia University Press. The anthology, the first of its kind, features poetry and prose from lesbian, gay, bisexual, transgender and queer authors from Appalachia. Mann, now an author and associate professor of English at Virginia Tech, co-edited the book with Julia Watts, an author and professor of English at South College based in Knoxville, Tennessee. Both Mann and Watts have work included in the collection. “This one was different because what we really wanted to do is put together an anthology that was really representative of the most important voices in LGBTQ Appalachian literature,” Watts said. For that reason, instead of holding an open call for submissions, Mann and Watts solicited by invitation writers that had already published at least one body of work. The collection features nationally-known voices such as Dorothy Allison, Ann Pancake and Fenton Johnson as well as emerging voices like Savannah Sipple and Jonathan Corcoran. The collection takes the reader on a wide journey both through the region — from a Tennessee coal camp to Lexington, Kentucky, to the banks of West Virginia’s Little Kanawha River — and to urban centers outside of it, like New York City. And while no two lived experiences are the same, the collection’s pages are interwoven with themes of home, family, place, the natural world, gender, sexual identity and religion. Raised in Elkins, West Virginia, Jonathan Corcoran spent the first 18 years of his life in the closet. Growing up in a religious household, the messaging Corcoran received at a young age both from his family and his community “was that someone who was gay was an anomaly and didn’t necessarily belong in that town, in that place, in our state, in our region,” he said. And Corcoran understood around the time he was graduating high school in the early 2000s, just like Mann understood 30 years before him, that to proclaim himself as gay would be a serious risk. You can try to simplify things, Mann said. He’s seen it play out many times. That it’s just too hard to be queer and live in the region, so either you stay and try to hide it or you move away. “The people in this book, obviously, have chosen not to cut off one identity and focus on another,” Mann said. Anna Patrick is a journalist based in Thomas, West Virginia. A former reporter for the Charleston Gazette-Mail, her work has appeared in the New York Times and CNN’s Parts Unknown. Raised in Appalachia, her work explores the lives of folks who call these mountains home.